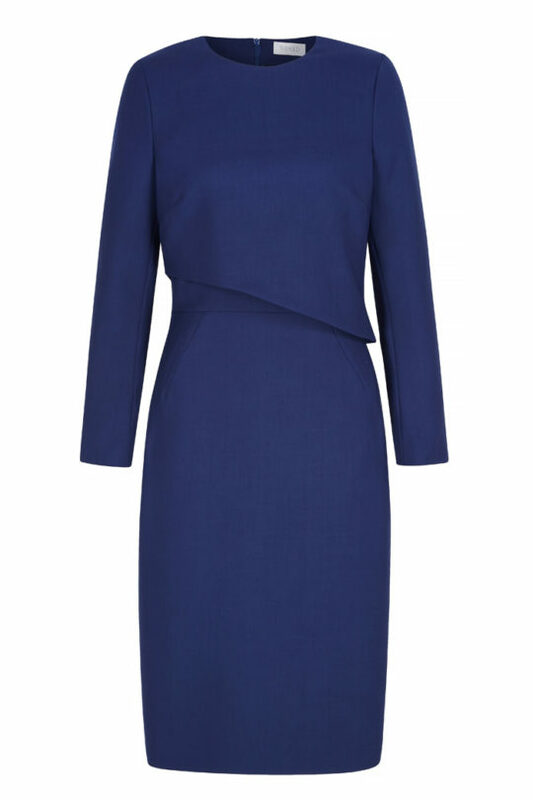 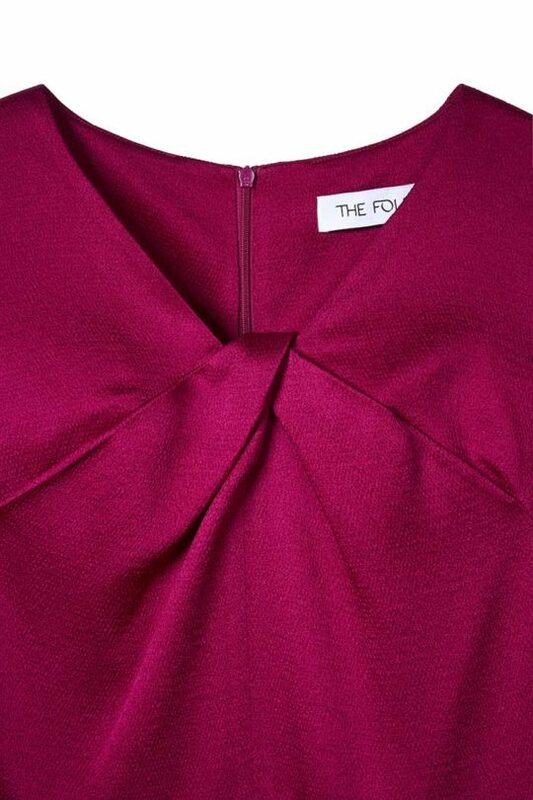 A party-perfect magenta dress with a distinct folded neckline, infused with effortless glamour. 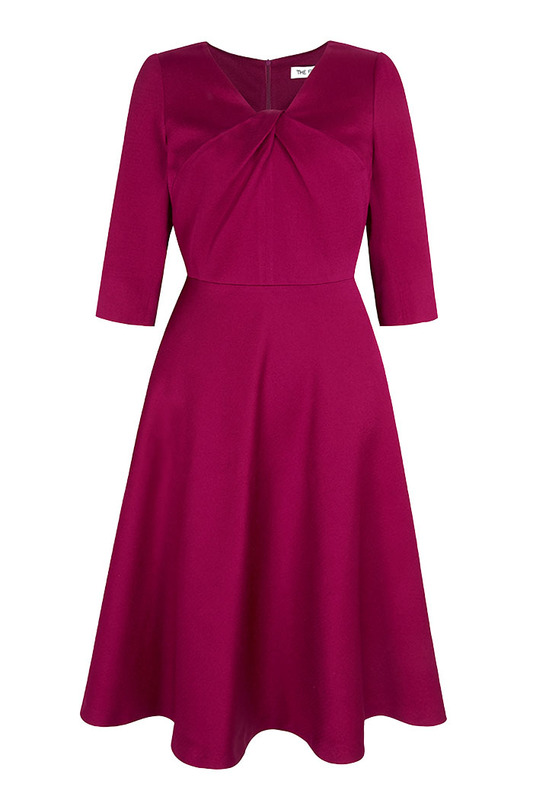 Embrace alluring jewel tones this season, with occasion-worthy pieces that are also incredibly easy to wear. 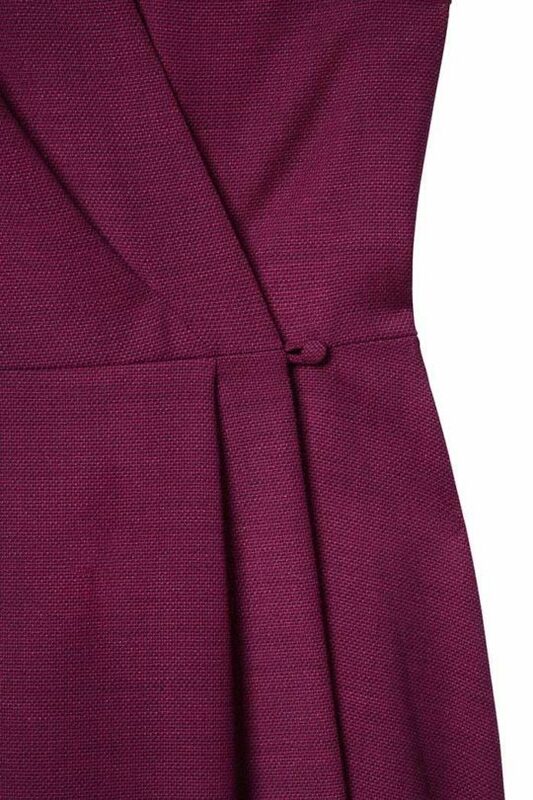 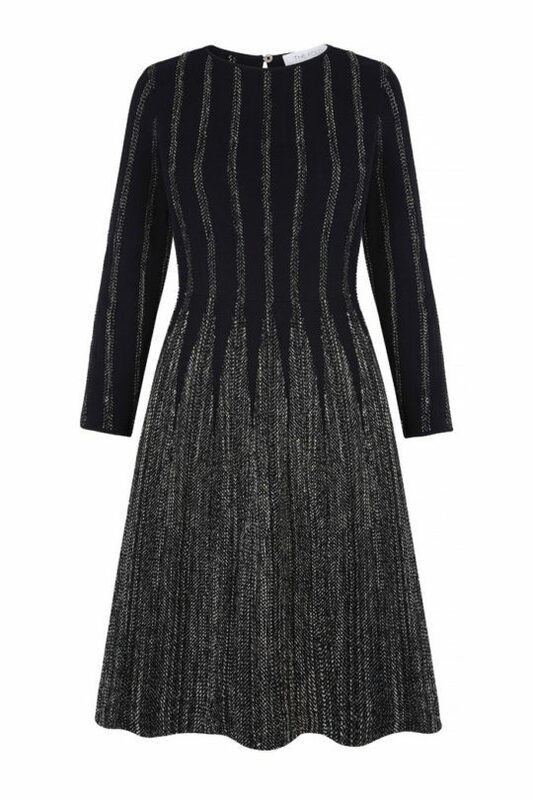 The Bellevue dress is cleverly cut from textured Italian satin, in a head-turning dark magenta hue. 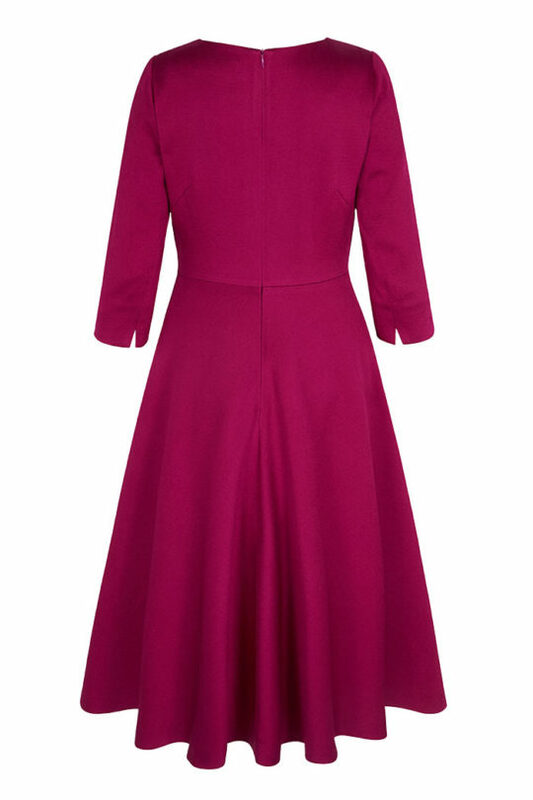 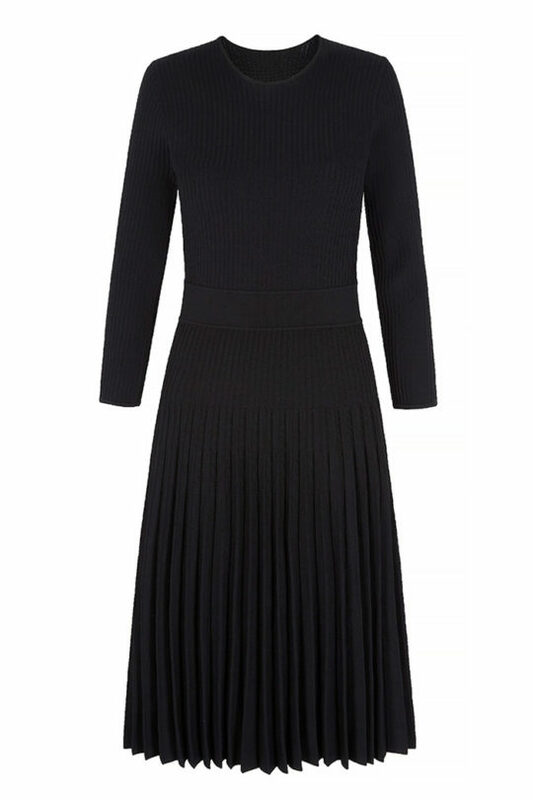 It has an eye-catching folded neckline and a seamed waist that kicks out into a full skirt, with nifty concealed pockets.